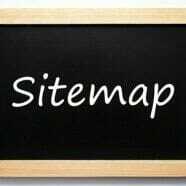 How Do Google XML Sitemaps Work? As part of Google’s Webmaster Tools, Google allows webmasters to upload a sitemap to their index. The primary goal of a Google XML Sitemap is to help with on-page optimization by informing the search engine immediately when new content is created, instead of waiting for the next time Google is scheduled to crawl the website. This will help a page rank higher in Google. A secondary goal is it helps Google find pages that are not yet backlinked (or may not be backlinked any more) and index these pages as well. Sitemaps are particularly useful for sites that are new or utilize one or more of the following technologies: dynamically-generated content, AJAX, or large archives. Sitemaps can be generated for a variety of different content types, including Google xml sitemaps for images, mobile, news, video, and source code. The Sitemap can help specify other information about the content or your site. For instance, a video Sitemap can specify the category, length, size, license, and subject matter of your content. Sitemaps are dynamically generated. Most CMS installations automatically generate a Sitemap for your content, but if not, you can code a rudimentary Sitemap using PHP. Google Sitemaps must follow the protocol set forward in the sitemaps.org Sitemap 0.9 XML format. One problem with using the default CMS-generated Sitemap is that it might not specify all of the information about your content that the Sitemap 0.9 allows. You should consider customizing your Sitemap to maximize its use prior to submission. Any professional Web developer can help add this functionality. Since Sitemaps are dynamically generated, it will be automatically updated whenever you upload new content. Google will see this new content immediately and queue your site for crawling, ensuring that your latest content is featured in the search engine results as soon as possible. Since most sites will benefit from uploading a Sitemap and no site is ever penalized for the submission, Google strongly recommends creating and uploading a Sitemap as soon as your site goes live.